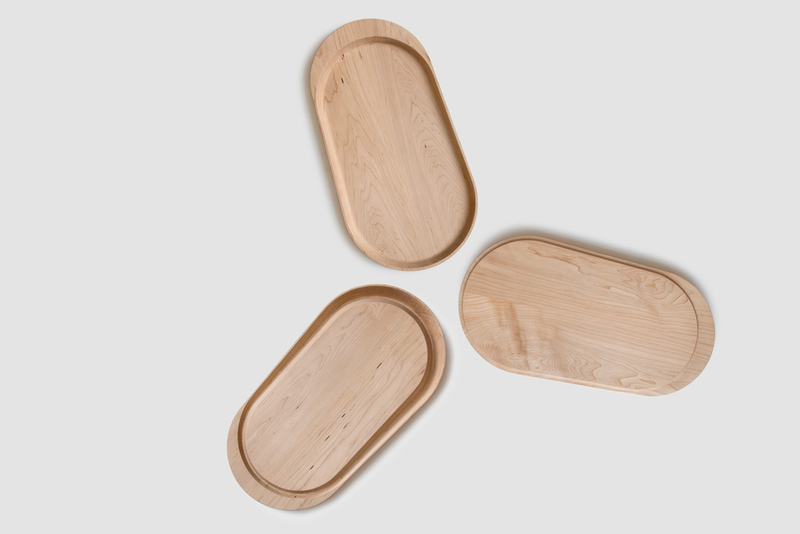 A trio of wooden kitchen boards designed to live together but aid in unique tasks. 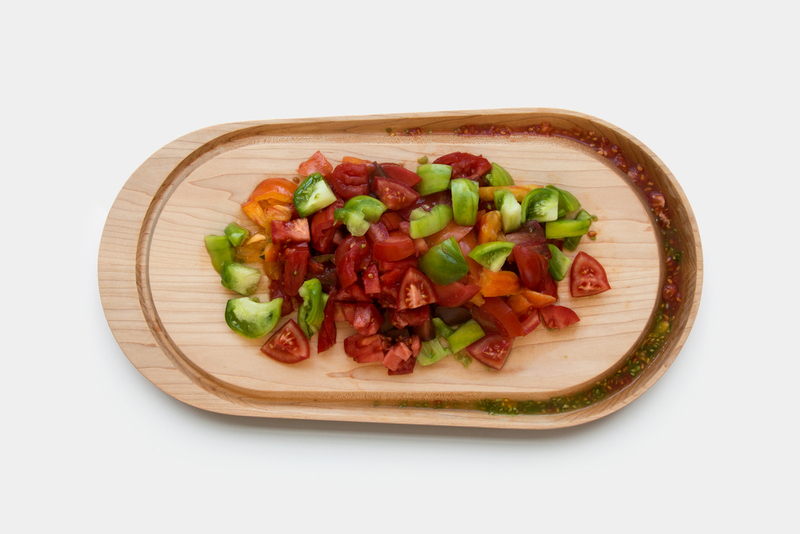 The Crescent Carving Board has a groove milled near its perimeter that deepens so juices pool on one end and can be poured and saved for serving or left for dipping. 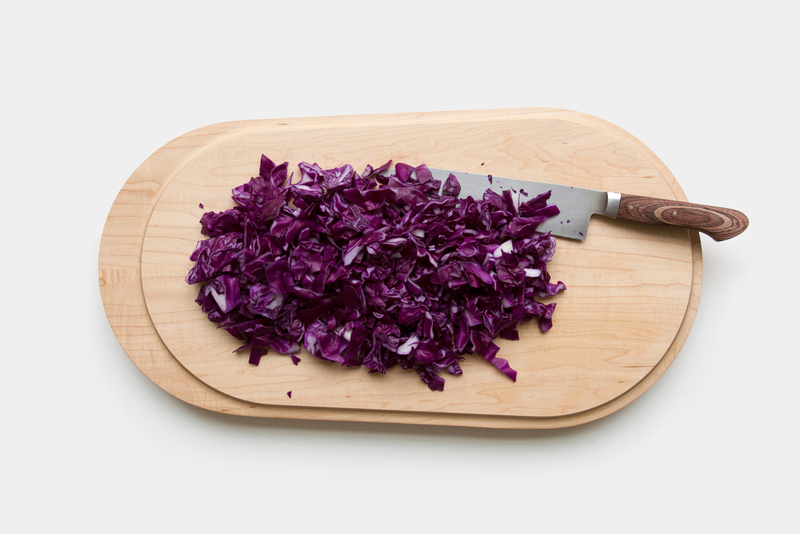 The Crescent Chopping Block follows this aesthetic but with a larger edge to edge cutting surface which is raised slightly like its carving board brother. 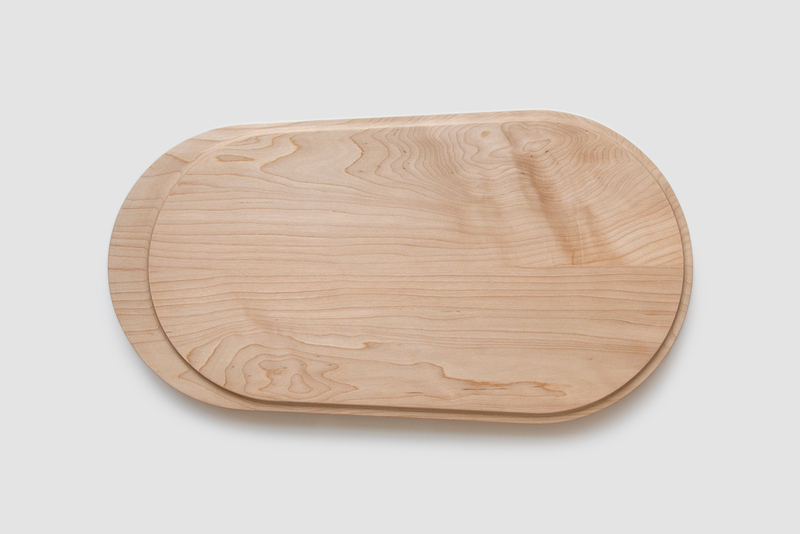 Finally the Crescent Serving Tray is there to present all your delicious preparations.